The Curzon Country Cinema will be starting a monthly film screening in the Village Hall in January 2019. Doors at 7:30pm and the shows usually end at around 9:50pm. All seats are £6.00 each. The first film will be either “THE GUERNSEY LITERARY AND POTATO PEEL PIE SOCIETY” or “FINDING YOUR FEET”. The screen is approximately 20ft with stereo sound. This entry was posted in Uncategorized on November 7, 2018 by CPC website administrator. 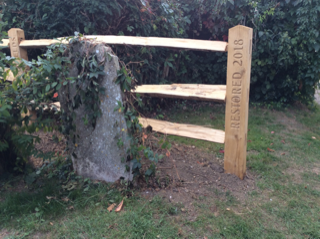 Cowfold Village History Society (CVHS) held a celebration to mark the completion of the project to restore the fence in the Churchyard of St Peter’s Church, known as the “Church Marks”, on Saturday 13 October 2018. The lovely weather enabled fifty people, including generous sponsors, CVHS members and members of St Peter’s congregation to enjoy refreshments (served by Mary Wilson) and witness Father Martin bless the magnificently restored fence, as well as the restored footpath lighting (enabled by the Co-op Community Development Fund). This entry was posted in Uncategorized on October 23, 2018 by CPC website administrator. 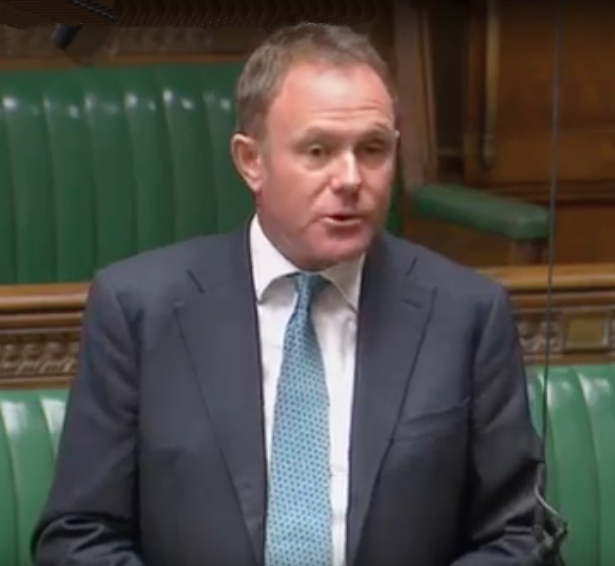 In the House of Commons debate on improving air quality that took place on Thursday 28 June 2018, our local Member of Parliament, Nick Herbert, put forward a strong case for addressing the longstanding problems in Cowfold and Storrington. The Parish Council is pleased that its efforts to highlight the issue have had a positive impact and hope that the increased awareness will now lead to the implementation of practical measures to improve air quality in the village. This entry was posted in Uncategorized on June 29, 2018 by CPC website administrator. The Community Safety & Wellbeing Team (CSWB) at West Sussex County Council is asking parents & carers within the County for their views and experiences in relation to keeping their children safe online by responding to an online survey. The aim of the survey is to assist CSWB in identifying if any further resources may need to be developed, or to raise awareness of existing resources and how parents and carers can be better supported in this area. find out about the types of resources parents and carers utilise, are aware of and have available to them, as well as receive feedback on what resources parents and carers really value in helping them to better support their young people. The survey will close on the 8th of July 2018. For further information, please contact Francesca Blow, Lead for Safe Digital Life, Community Safety & Wellbeing Team. This entry was posted in Uncategorized on June 14, 2018 by CPC website administrator. 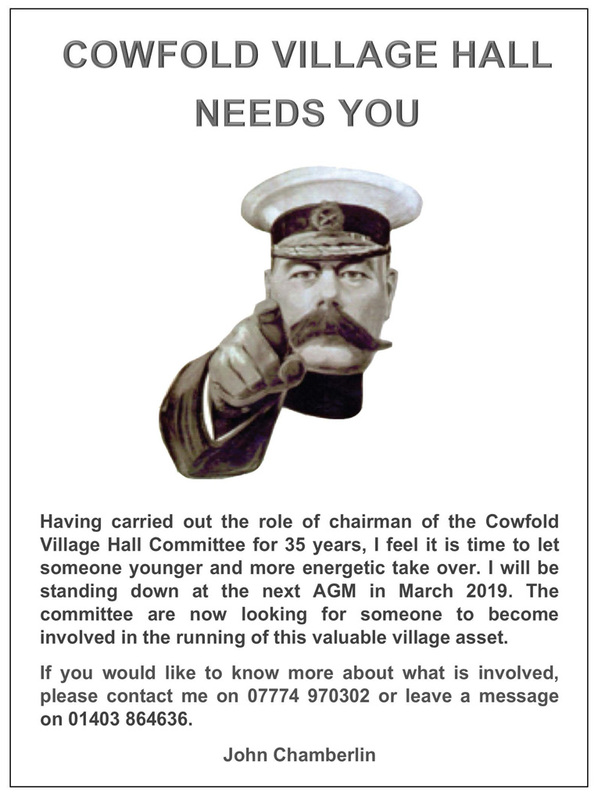 Cowfold Village Hall Needs You! This entry was posted in Uncategorized on April 25, 2018 by CPC website administrator. This entry was posted in Uncategorized on April 4, 2018 by CPC website administrator. What is a Neighbourhood Plan and why should we have one? Neighbourhood planning gives communities direct power to develop a shared vision for their neighbourhood and shape the development and growth of their local area. They are able to inform where new homes, shops and offices could be built and when. The community is able to have their say on what new buildings should look like and what infrastructure should be provided. Neighbourhood planning provides a powerful set of tools for local people to ensure that they get the right type of development for their community. The whole process of preparing a Neighbourhood Plan typically takes two years. The Plan is built upon feedback from the community to ensure that it reflects the views, as far as possible, of those affected by it. The Plan has to be in conformity with national planning guidance and the strategic policies of Horsham District Council. In due course, an Independent Examiner will examine the Plan to check it has fully met these requirements before recommending whether the Plan can proceed to Referendum. A new standard approach to calculating housing need has been proposed by Government. If implemented, this approach will set out housing requirements for Local Authorities and, in turn, those preparing Neighbourhood Plans. 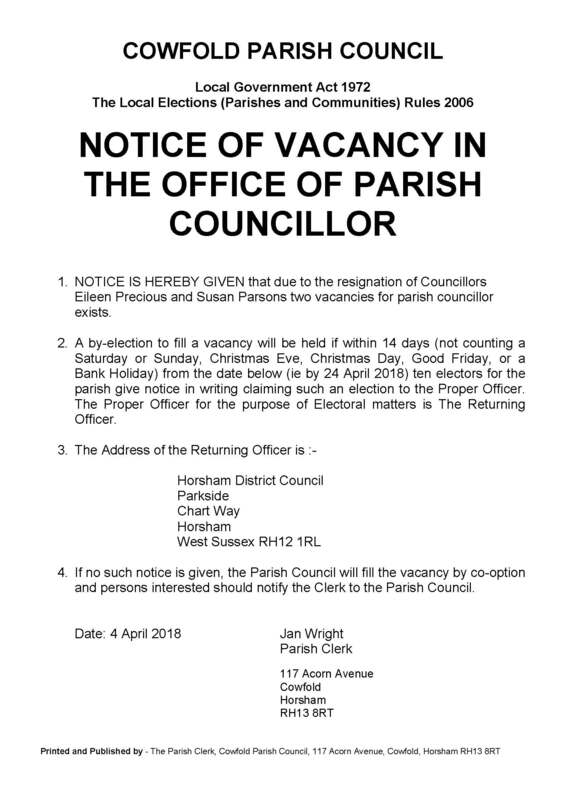 This could have implications for the number of houses that need to be planned for within the emerging Cowfold Neighbourhood Plan. How does the Neighbourhood Plan make a difference? We are currently in the process of trying to convert all the feedback received, as summarised in our Vision and Objectives. 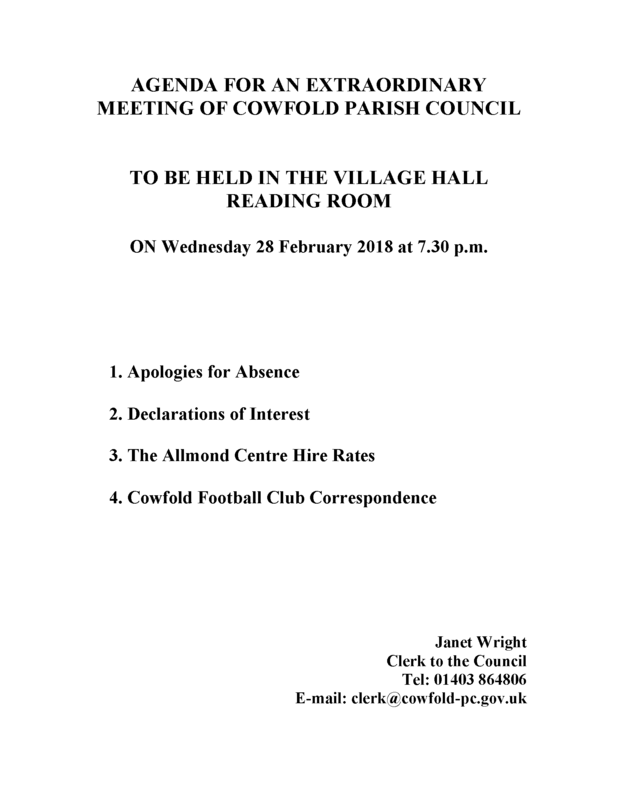 This will help to inform the policies of the Cowfold Neighbourhood Plan. Our policies cannot require external bodies, such as the County or District Councils, to carry out our aspirations for matters that fall under statutory operation (i.e. road calming). In such cases, we can include Aims in the Plan which set out the Parish Council’s support for local initiatives. What happened after the Call for Sites? The Cowfold Neighbourhood Plan Working Group published its Call for Sites in November 2017. We have been made aware of 11 sites which could accommodate development. We will now follow the agreed Site Appraisal Process to assess these. This will allow us to ascertain which sites are the most suitable to meet the defined need of the Parish. 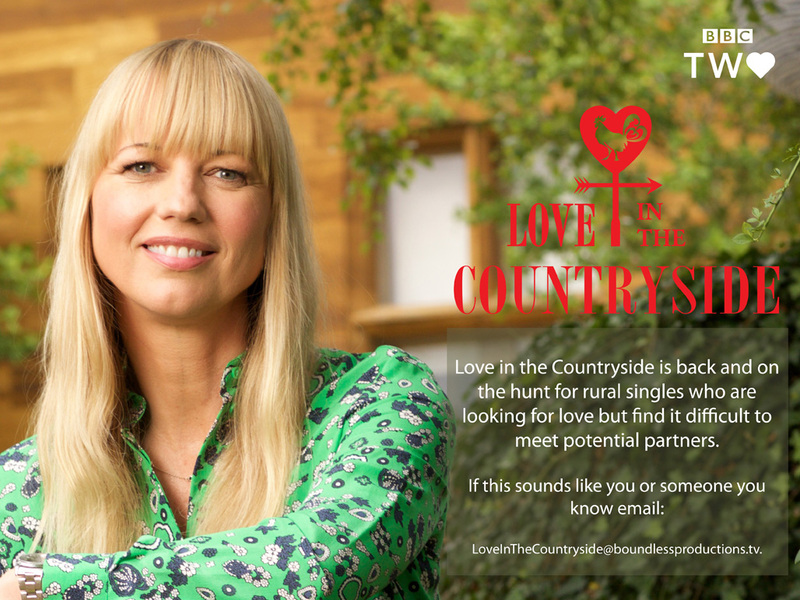 There will be a public exhibition of this information, detailing each one of the sites put forward by Landowners or their Agents. This will take place on Friday March 23 2018 in the Village Hall between 12:00 and 20:00 so as to, hopefully, give everyone the chance to come and see the information and give us their feedback. Cowfold is a vibrant Community with a great sense of identity; it is very important that we do our utmost to protect this Community Spirit as we strive to meet the needs of the majority of residents within the framework of legislation. Do come along at any time on Friday March 23 between Noon and 8pm and have your say. This entry was posted in Uncategorized on March 1, 2018 by CPC website administrator. Proudly sponsored by Gatwick Airport, 2018 sees the return of our biggest fundraising event: The Midnight Walk! With brand new walking routes, it’s the ideal chance to make your steps count while raising funds for your local hospice. Taking place on Saturday 9 June 2018, the walk starts and ends at Broadbridge Heath Leisure Centre; but we’ve created three brand new walking routes: seven, 13 or 20 miles through the streets of Horsham. We’ve also added extra toilet and energy stations and, once again, there’ll be the chance to light a candle to remember someone you love. Following the success of last years Midnight Walk, with nearly 1,000 people taking part, we are hoping that more of you will put on your walking shoes for a walk beneath the stars. Men, women and children over the age of 10 are all welcome to join us at this event! This year, the hospice is hoping to raise £125,000 to help them provide care and support to local terminally ill people when it’s needed most. The money you raise will help people like Donald, who St Catherine’s Therapies Team arranged a walker for, so he could go into town and buy his wife a surprise bouquet of flowers. It takes someone very special to do our Midnight Walk and help make it a night to remember! Our walk wouldn’t be the same without you and we really hope you’ll join us in June. Go on – be a hospice hero and make every mile matter! It doesn’t matter whether you’re walking for the first time, a personal challenge or in memory of someone you love. It just matters that you walk. This entry was posted in Uncategorized on February 11, 2018 by CPC website administrator.